The WUDC Council and the entire world debate community are committed to ensuring fairness. The role of equity is to investigate any issues that may threaten fairness, whether it be discrimination on the basis of gender, sexuality, race, religion, nationality or language status. Each year, the World University Debating Council elects an Equity Officer, who works with the debate community to address equity issues over the course of the following year. In addition, each host of the WUDC appoints an Equity Team order to handle any tournament-specific complaints or issues that arise. The Council Equity Officer serves as a member of this team, and as its liaison with council. Gemma proudly represented Monash University for the entirety of her seven year Bachelor of Arts degree and was crowned the second best speaker in the world at WUDC Chennai. Over those many years in debate Gemma has been fortunate enough to travel the world and meet, compete against and train people from many different circuits. Along with that experience has come a keen desire to ensure that international debating is fair for all participants and merit is truly rewarded. Gemma intends to dedicate her remaining time involved in competitive debating attempting to resolve some of the ongoing equity issues she has witnessed and would love to hear from you. 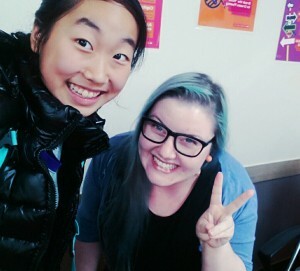 Gemma currently works at the Malaysian Institute for Debate and Public Speaking, after having spent 2014 coaching debate further north, in Seoul. You can reach Gemma by email.